The valley was tamed long ago. The deep gorges were bridged, a road cut through her swampy bottoms, and towers set to watch the road to keep the mountain’s predators at bay. That was long ago when the kingdoms of men were young and strong. For now the valley is empty of its old inhabitants. The towers are in ruin, the road in disrepair, and her people long gone. But it is not empty, for creatures have crept into the void, both deadly and mad. 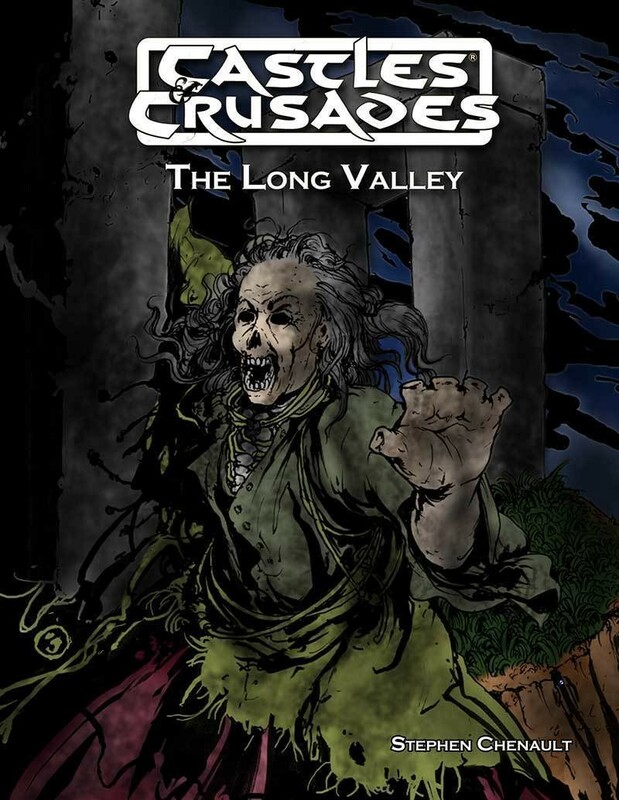 Even the bridges offer a deadly and dangerous challenge to the unsuspecting traveler.The Long Valley is an overland adventure that allows the characters to explore the whole 30 mile stretch of country. The challenges range from the monstrous to the terrain, itself. Death lurks at every turn for the valley is as dangerous as it is beautiful. There are several encounter areas,including dungeons--loosely strung together..